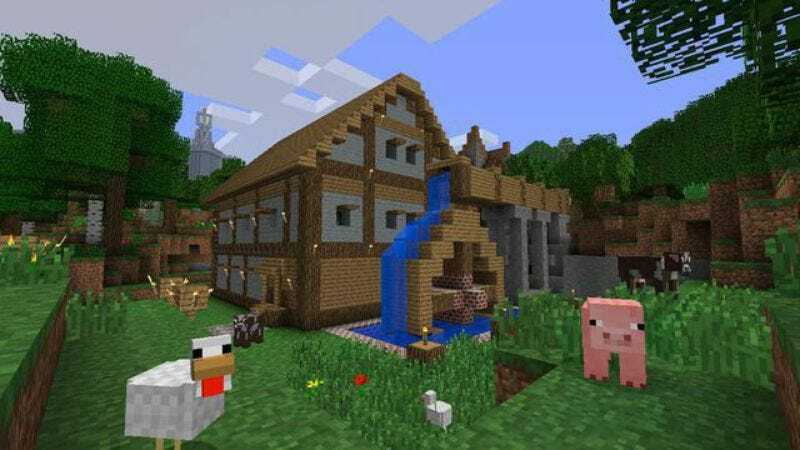 Depending on a number of factors—but mostly age—the idea of a Minecraft movie will probably elicit one of two reactions from someone: Either they won’t understand how it’s possible to turn a game about nothing into a movie, or they already spend hours watching people play Minecraft on YouTube so some kind of big-screen adaptation won’t be all that much different. If Warner Bros.—which is making the Minecraft movie—is smart, it will try to cater to that latter group and not try to win over the former. After all, we’re talking about kids who will choose to spend their time watching someone else play Minecraft instead of just playing it themselves. That’s the dream audience for a studio adapting a video game. In order to hook this dream audience, Warner Bros. has apparently turned to Night At The Museum director Shawn Levy. Deadline says the studio is “in talks” with him, so it’s not official yet, but since Minecraft is enormously popular and the similarly themed Lego Movie was a big hit, Warner Bros. will try to do whatever it can to get a proven kids’ movie director on board. It probably won’t want to let the potential of the Minecraft movie go to waste, by which we mean huge blocky towers made of money. Also, going back to that first group of people we mentioned, we still have no idea how it’s possible to turn a game about nothing into a movie. Maybe Warner Bros. will go the Super Mario Bros. route and just ignore the game completely.